Welcome to Richmond Vinyl Siding Ltd.
At Richmond Vinyl Siding, we understand that choosing the right contractor for your siding project is one of the most important decisions you will make. Whether you are looking to install all new vinyl siding on your home or require custom windows for your property. You do not want to select just anyone. Ensure that the contractor you choose has the credentials to back up what they say, such as years of experience and customer references. Richmond Vinyl Siding has been serving residential and commercial customers in British Columbia since 1976. With over 10,000 satisfied customers, we have been recognized as an industry leader by the Consumers’ Choice Award as the Best Vinyl Siding Company. As long-standing members of our local Better Business Bureau, Richmond Vinyl Siding is a name you can trust. For more information about our services or a free estimate, call 604-271-1237 or email us at rvssammarco@shaw.ca. 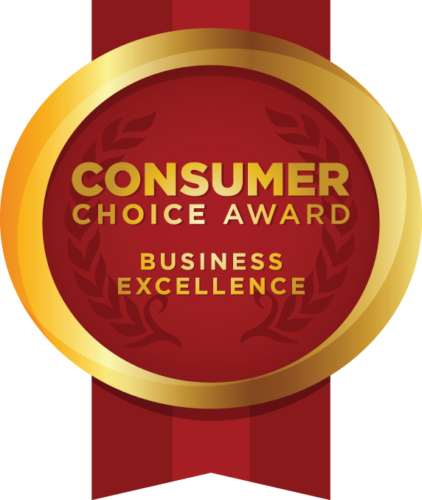 We greatly appreciate being the recipient of the Consumer’s Choice Award™ consecutively since 2008, and we are proud to announce we will be receiving the award again in 2017. Thank you for choosing us! For all your residential and commercial siding needs.